Fringe blue stars. 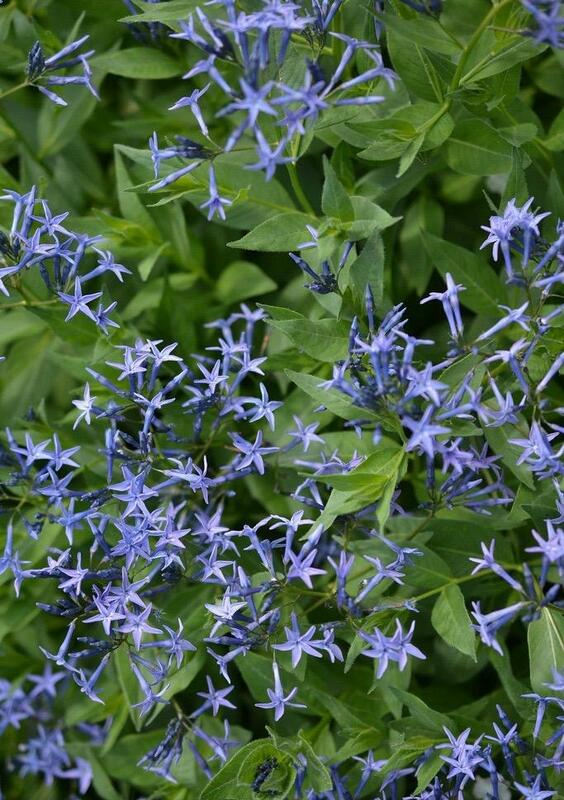 Single powder blue star flowers in clusters above narrow needle like foliage, May to July. 60cm tall. Sun or semi shade. Any well drained soil. Good autumn colour.